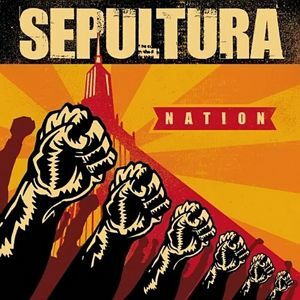 SEPULTURA - NATION VINYL (2LP 180G-BLACK) | Online Shop | Wizard LTD. Album: "NATION VINYL (2LP 180G-BLACK)"
- Alternative Press (5/01, p.63) - 4 out of 5 - "There are plenty of touchstones to [their] days of headbanger hegemony....[new singer] Derrick Green&apos;s heightened tunefulness along with the broadened emotional resonance...should relate to an enlarged fanbase." Nation is the band&apos;s second album with singer/guitarist Derrick Green. Nation features guest appearances from such notable artists as Hatebreed singer Jamey Jasta, Dead Kennedys singer Jello Biafra, Ill Niсo singer Cristian Machado, Bile frontman Krztoff, and Apocalyptica.